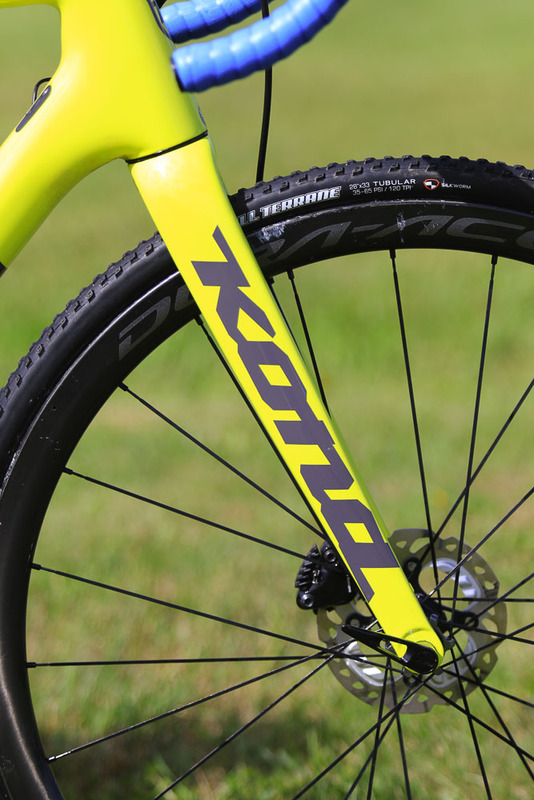 When we last checked in with Kona rider Kerry Werner at World Cup Waterloo in 2017, he had just recently cobbled together a Kona Super Jake for the start of the season. At the mercy of production schedules, Werner’s bike featured mismatched calipers, an aftermarket fork, “unbranded” tires and an out-of-series crankset. 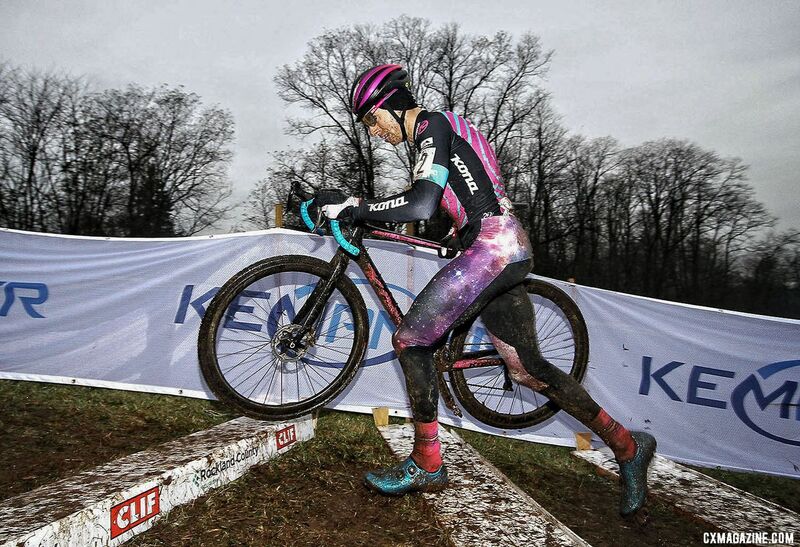 He eventually got everything together—including matching purple moon pants—and went on to finish third at the 2018 U.S. Cyclocross Nationals in Reno. For the 2018 season, Werner’s bikes are much more polished. He entered the season with a matching frame and fork on Kona’s top-of-the-line Super Jake. Kona’s bikes match the Kona Maxxis Shimano team kit this year, and Werner will be wearing more yellow as opposed to colors that matched better with the purple of 2017’s livery. 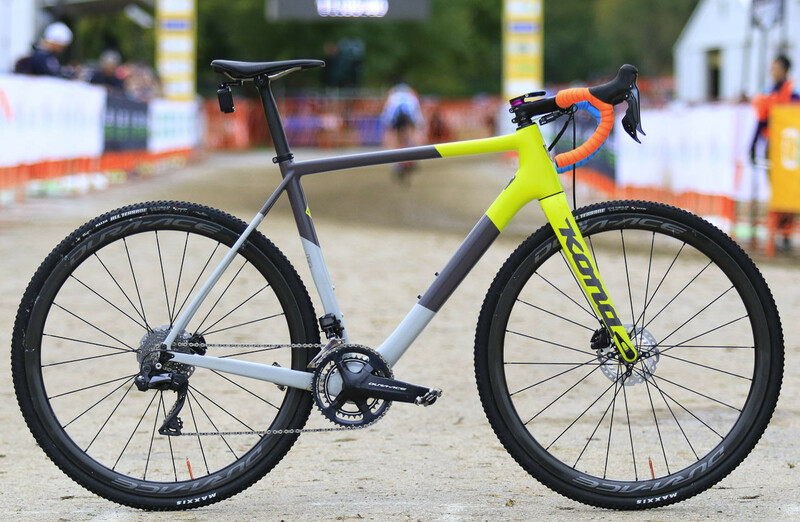 We took a closer look at Werner’s 2018/19 Kona Super Jake at both World Cup Waterloo and the Jingle Cross World Cup for this bike profile. 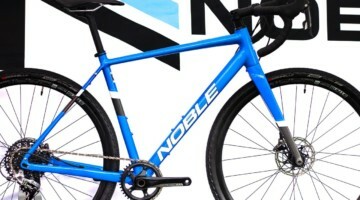 Redesigned for the 2018 model year, the Super Jake features a carbon frame and fork with internal cable routing on the frame, flat mount disc brakes and 12mm thru-axles front and rear. We recently reviewed the Major Jake, which has a similar geometry. 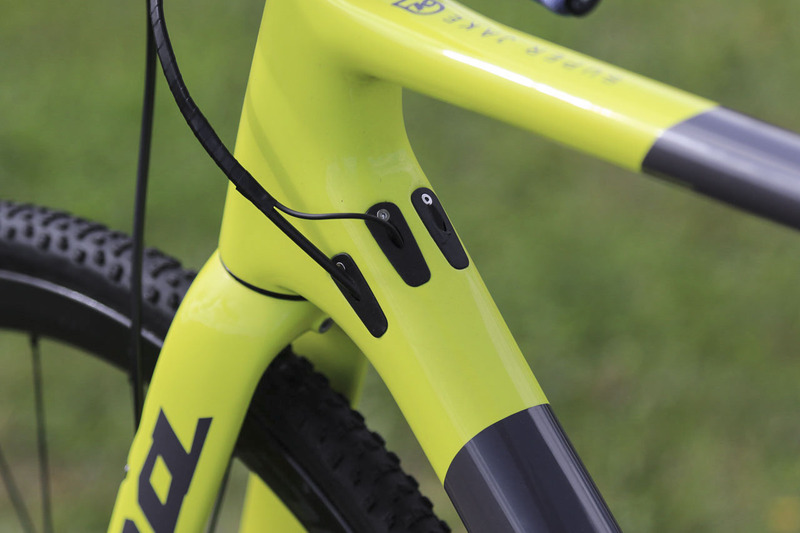 Interestingly, the fork uses an external anchor for the front hose. 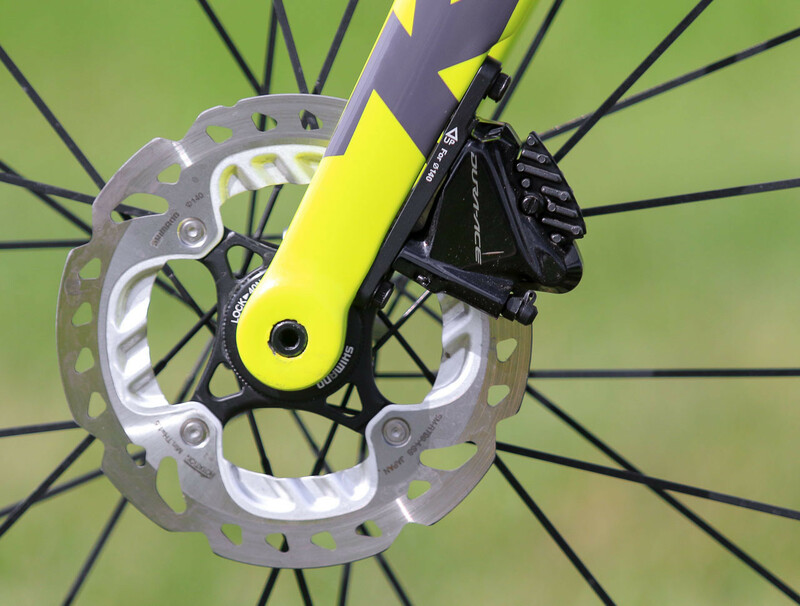 Last year, Werner ran Shimano XTR disc brakes on the post mount TRP fork at the start of the season. With the production carbon Kona fork on this year’s bike, he can make use of Shimano Dura-Ace 9100 calipers front and rear, which are only available in flat mount. After switching to the flat mount calipers, Werner also went with 140mm Shimano Ice Tech Freeza rotors both front and rear. 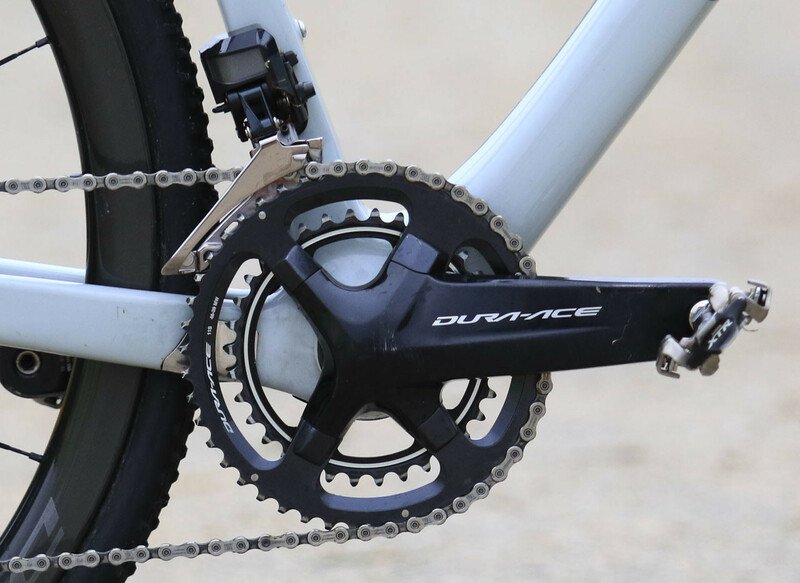 Also new from our last check-in is Werner’s Dura-Ace 9100 crankset with special, pro-only chain rings in 46/39t. If there was one thing he was waiting on for his complete Super Jake build it was the special Dura-Ace chain rings. 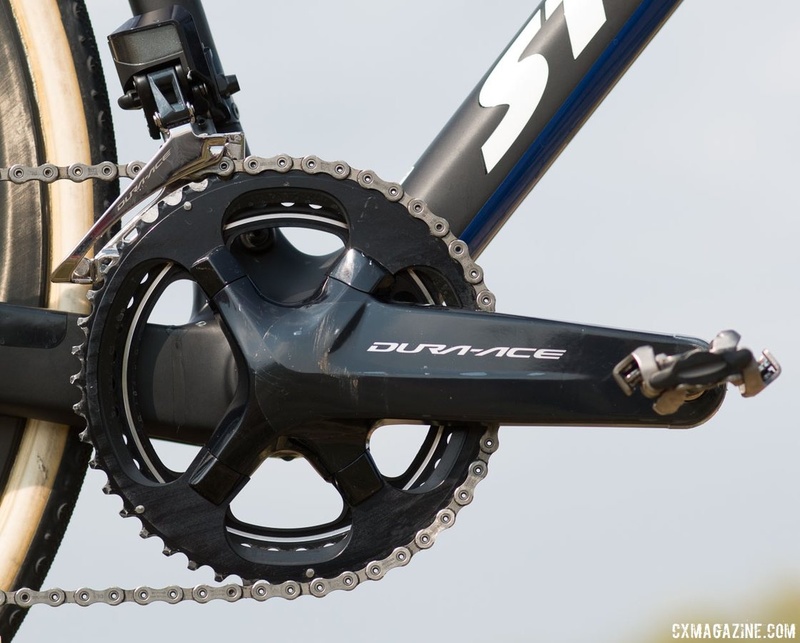 Shimano-sponsored riders are required to run 2x systems, but the Dura-Ace groupset does not have 46/36t, 46/39t or other cyclocross gear combinations. 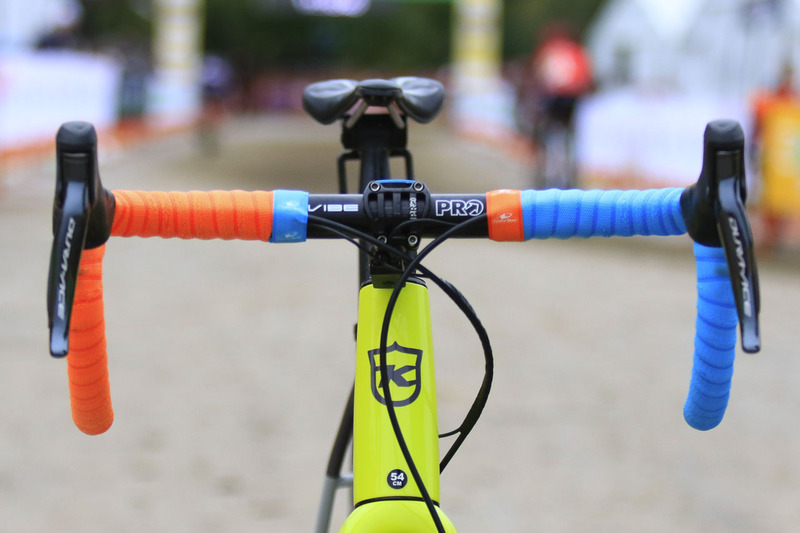 When we saw Werner’s bike at Jingle Cross, the rings were in and Werner was ready to rip. As a Shimano rider, Werner’s bike features a Dura-Ace R9170 groupset with hydraulic disc brakes and Di2 electronic shifting front and rear. 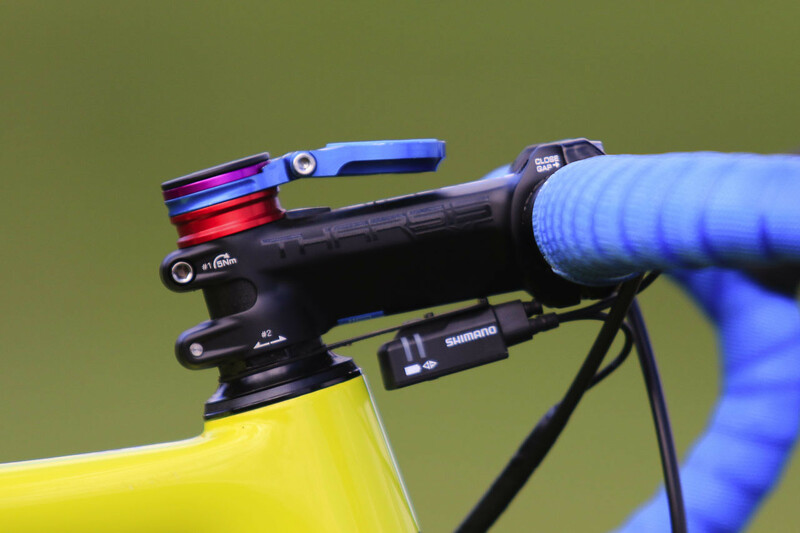 Werner used the traditional EW90 stem mounted junction box to connect his shifters, although it was attached with a clean looking headset based mount. 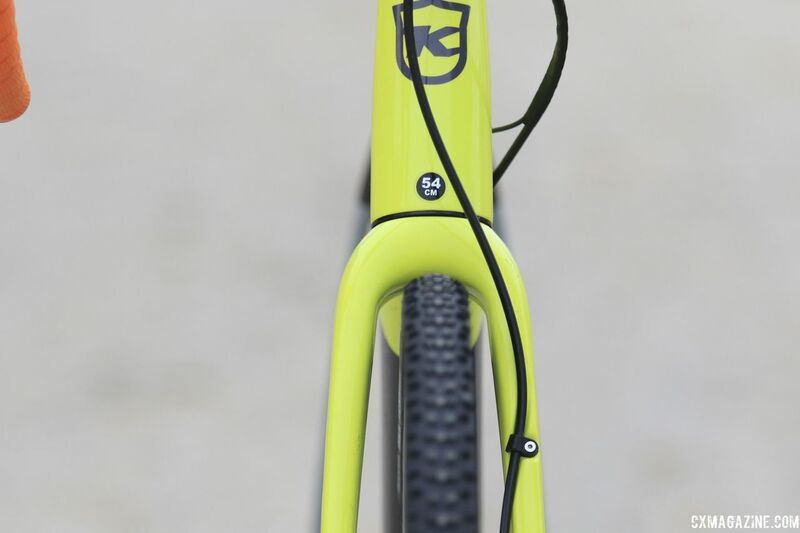 The junction box attached to a Pro Tharsis XC alloy stem, which is a bit of unexpected choice since it is a mountain stem and the company offers a Vibe road model. 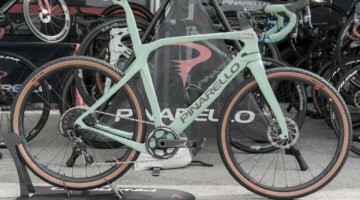 Maybe it is a way for Werner to stay connected to his mountain bike roots now that he is a full-time cyclocross star. The bike broke from its Dura-Ace groupset with the inclusion of an Ultegra RX805 rear derailleur. 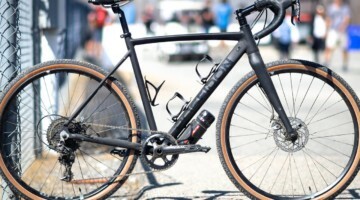 Launched in the spring of 2018, the RX800 mechanical and RX805 Di2 derailleurs are aimed at gravel and cyclocross riders and features a clutch system to prevent the chain from detensioning on harsh impacts. The Di2 wire holder bolted into the fender mount was fabricated by Werner’s mom one afternoon during lunch. 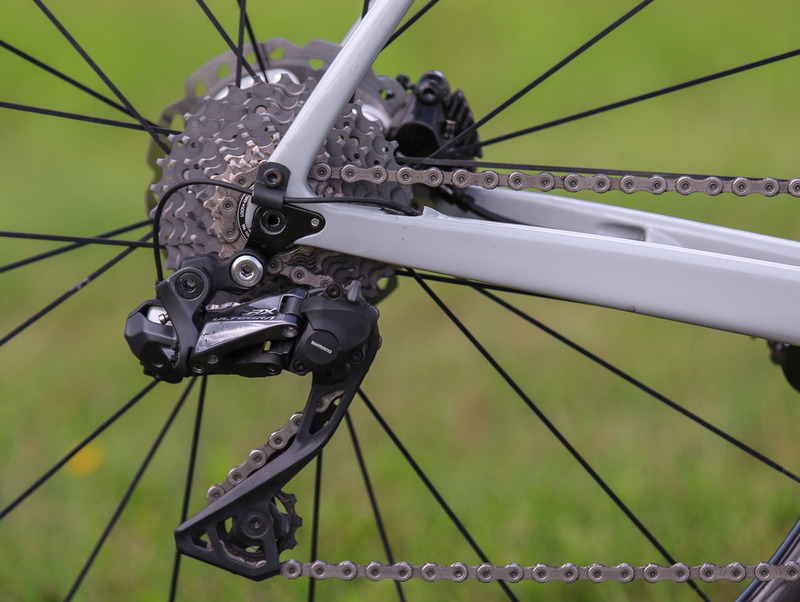 This year, Werner swapped his Crankbrothers Candy pedals for Shimano XTR PD-M9000 pedals. 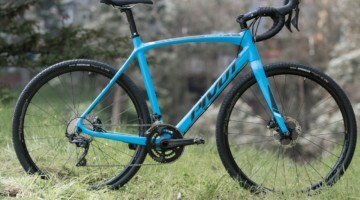 He did not, however, choose the new XTR PD-M9100 model Shimano recently released. At Waterloo last year, Werner had unbranded Clement tubulars mounted up—he had yet to receive new Donnelly-branded tires. 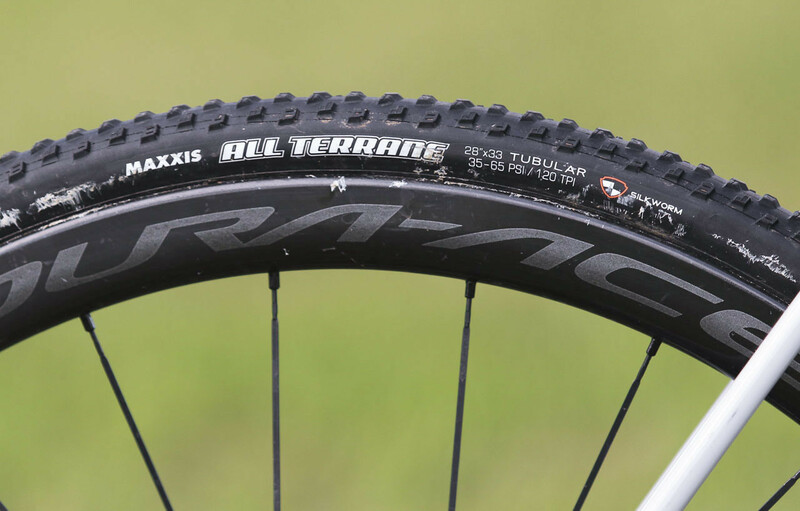 As Maxxis is a title sponsor for the 2018 season, Werner adopted the brand’s cyclocross tubulars, which are still glued to the same Dura-Ace thru-axle carbon wheels as last season. 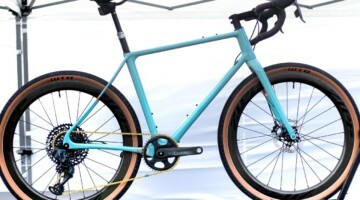 The Maxxis-sponsored Pivot/Maxxis p/b Stan’s/DNA Cycling team is running Maxxis tubeless tires, but Werner and Fahringer are running the brand’s tubulars. We first saw Maxxis tubulars at Interbike in 2016, but they are still not avaialble to consumers. Werner had an All Terrane tubular mounted in Waterloo, and last weekend we saw him running Speed Terrane file treads at the Pan-American Championships in Ontario. Werner’s other contact points included a Pro Vibe handlebar and WTB High Tail saddle. The handlebar on one of his bikes has a little extra flair with one side wrapped in orange tape and the other in blue. For more on Werner’s Super Jake, see the photo gallery and specs below. He’s riding a 54 cm and I read that these frames run large. How tall is he? 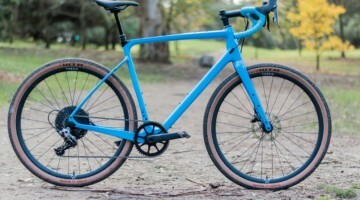 What was the weight on this build?